With over a dozen Republican candidates vying for their party’s nomination, and a half-dozen Democratic candidates in the mix, the 2016 election is shaping up to be a very complex race. With a little over a year left until the election, the big question on everyone’s mind is: Who will be our next president? 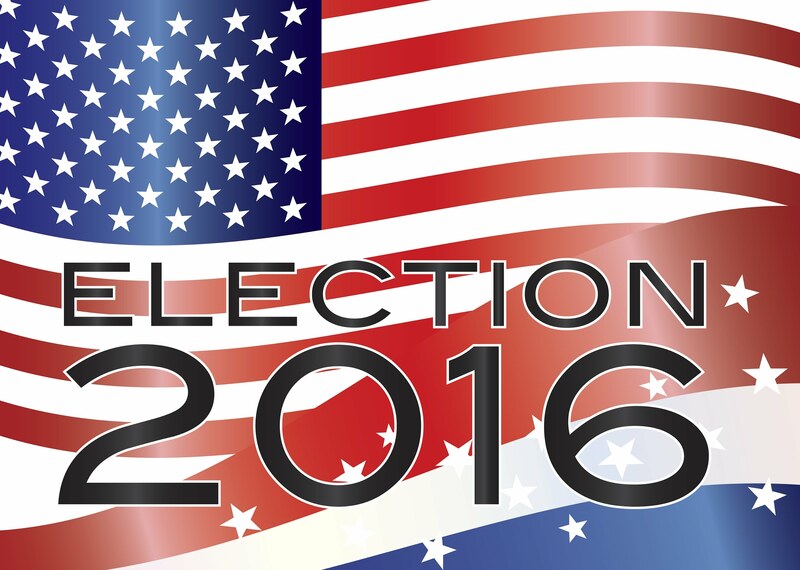 Pundits have already begun to debate and strategize as they look towards making predictions about the outcome of the 2016 election. What if there was a way of predicting the outcome of elections that has nothing to do with politics? Dan Silvert, co-author of Taking Flight, theorizes that instead of looking at each candidate’s political positions to determine who America will next elect, we should instead look at temperament. From looking at the way America has voted in the last few decades, Silvert has come up with a predictive presidential model based on the personality styles of each candidate. He begins by looking at the four basic styles of temperament that candidates can potentially exhibit. Eagles are direct communicators that are all about getting things done. They aren’t emotionally sensitive, and focus their energy on the bottom line. They aren’t prone to negotiation or deliberation — they say what they need to say and move on. Parrots are optimists that take a positive view of the world. They love to interact with other people, and have a charming, extraverted demeanor. Parrots love being center stage, and crave attention. Doves are empathetic and patient. They are peace-loving, with a sense of justice. They work towards achieving harmony in all relationships. More introverted, they work behind the scenes to build strong and trusting relationships. Owls are about accuracy. Details matter to owls. They are analytic and systematic, and are focused on making sure decisions are logical and accurate. Looking at the primary temperaments of past presidents, Silvert believes we can uncover a clear pattern. Jimmy Carter was a DOVE. He was the trustworthy figure America needed after Watergate. Ronald Reagan was an EAGLE/PARROT blend. The opposite of Carter in many ways, Reagan was direct and forthright, but also very outgoing and expressive. Regan was decisive, but had an optimism that resonated with the American public. George Bush Senior was an OWL. As the Former director of the CIA, he was very careful and analytical in his behavior. Bill Clinton was a PARROT. Upbeat and energetic, Clinton was magnetic, charismatic, and chock-full of personality. George Bush Jr was an EAGLE. Bush’s temperament demonstrated more of a bottom line, buttoned up disposition. Unlike Clinton, Bush didn’t fill a room with optimism and gregariousness. Instead, he was a straight shooter that cut to the chase. Obama is a DOVE. Obama’s Presidential style is calm and serene, with a focus on fairness and equality. Clearly, the temperaments of our elected presidents are very different from one another. At first glance, it might seem like they have nothing in common. However, Silvert points out that the differences in temperament are a part of a larger pattern. If you look closely at the voting style of the American public, you’ll notice that we never elect a president with the same temperament twice (unless it’s the same candidate for a second term). Silvert says this is no coincidence. He points out that after 4 or 8 years with particular personality style at the helm, the American public begins to suffer from a kind of “personality fatigue.” As a result, what we once saw as a candidate’s greatest strengths instead become weaknesses. In other words, history suggests that we vote for a candidate primarily because we like their temperament. Once we grow tired of that personality style, we seek out a new president with a completely different disposition. We seek change, but not necessarily in terms of political stance. In the end, Silvert predicts that we will not elect another DOVE. The next president will most likely have a more extroverted temperament, like an Eagle or Parrot. Based on Silvert’s theory, the candidate that displays the most EAGLE or PARROT energy will be the one that wins. No matter what your political leanings, it’s an interesting theory, one that’s based in a smart understanding of voting trends over time. What do you think about this model for predicting the President? Watch Silvert’s video and leave your thoughts in the comment section below. Watch this short video by Dan Silvert of Velocity Advisory Group, titled "Forget the Polls: How We Really Decide Who Gets to Be President"